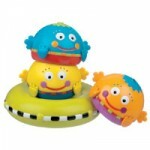 This post was updated here in the 2014 Guide to Safer Bath Toys. I was recently at Babies ‘R Us looking through the bath toys for a last minute addition to a baby shower gift. I looked through everything they had but couldn’t find even one bath toy that wasn’t plastic or at least plastic and labeled ‘PVC Free’ so I skipped on the baby toy and found something else. Now I’m on a mission to find bath toys – that you can find locally at some of the big box stores – that are safe so you can avoid the same experience! 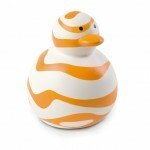 BOON – Finally, a PVC free rubber duckie! You can be confident buying ANY of the BOON bath toys because they are all PVC, BPA and phthalate FREE! 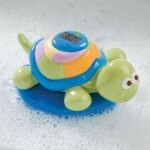 In addition to their rubber duckies, they have several other bath toys for all ages. Locally, you can find Boon products at Babies R Us, babyGap, buybuyBaby, Baby Depot and Target. Summer Infant– The 3 bath toys that the company confirmed were PVC, phthalate and BPA free are the digital temperature tester, tub time bubble maker, and tub time light up stacker. Sassy – Although the packaging isn’t labeled, all of the bath toys currently listed on the Sassy website are PVC, phthalate and BPA free. Sassy did say that 3 toys DO have BPA and may still be in stores, so stay away from these: rubber duckie with temperature gauge, Gator Boat, and Sassy Car Wash.
Infantino– I inquired and the response from Infantino was that their toys “conform with the safety regulations and have the allowable amounts of PVC and phthalates.” So I would stay away from Infantino. Although I’ve only included some of the major manufacturers here, you can also find many other brands of bath toys that are safe at local baby boutiques. 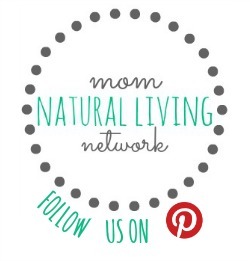 If there are any particular brands you are curious about, let us know! We’ll find out how safe they are.